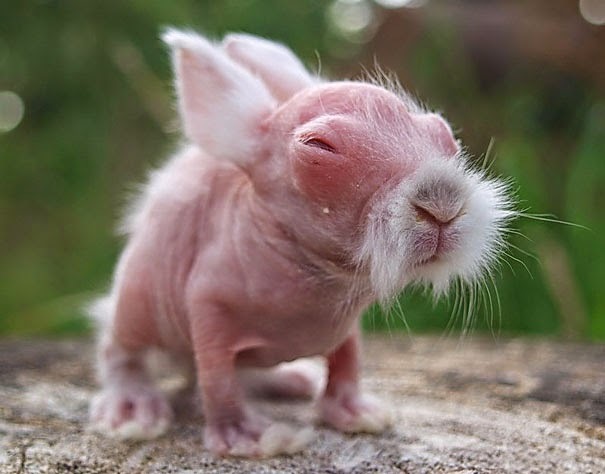 This cute bunny was born in 2009 and he instantly became an Internet sensation for being bald. Fortunately, after three months he grew his first coat and turned out to be as normal as his fluffy siblings. 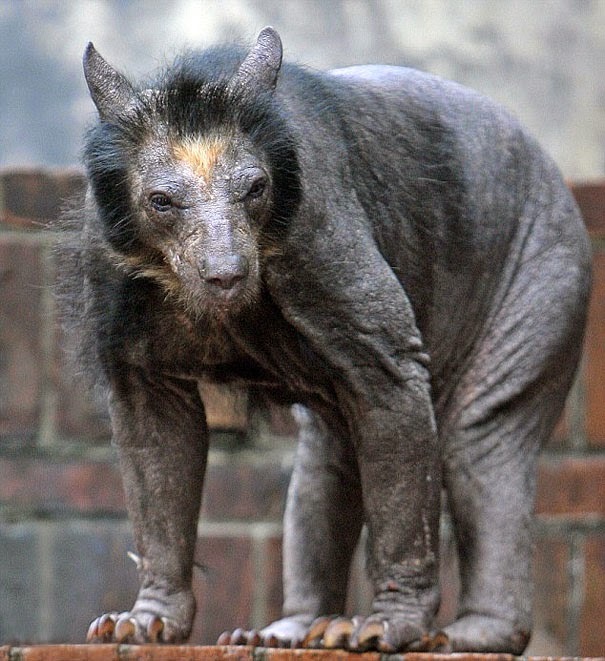 Dolores the bear is among other female bears that were affected by sudden hair loss at a zoo in Leipzig, Germany. Some experts believe this was caused by a genetic defect, though the animals do not seem to be suffering from any other afflictions. 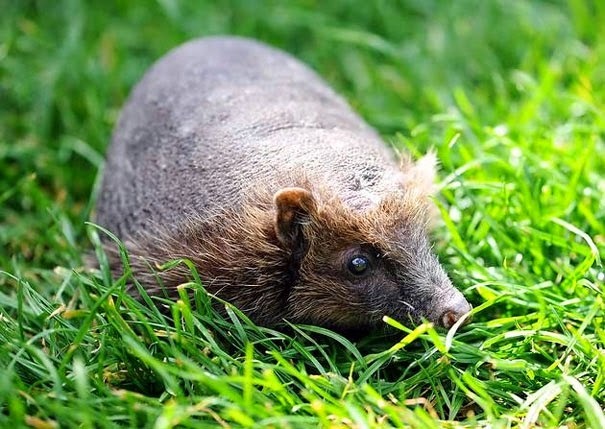 Meet Betty, the cute bald hedgehog-ette from Foxy Lodge rescue center, UK. 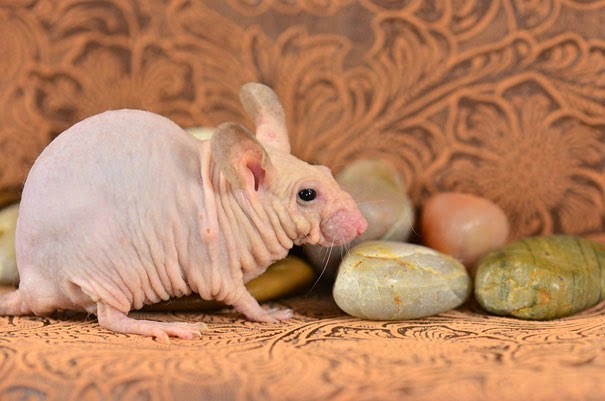 She is a healthy and absolutely fine critter apart from being bald, the cause of which is unknown. 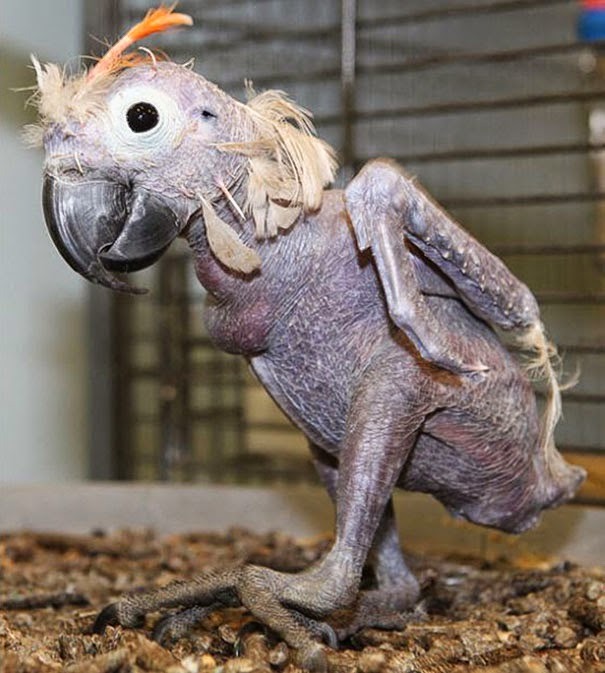 Oscar was a 35-year-old Moluccan cockatoo female that suffered from a condition affecting birds – Beak and Feather Disease. She would pluck her own feathers because they would irritate her so much. 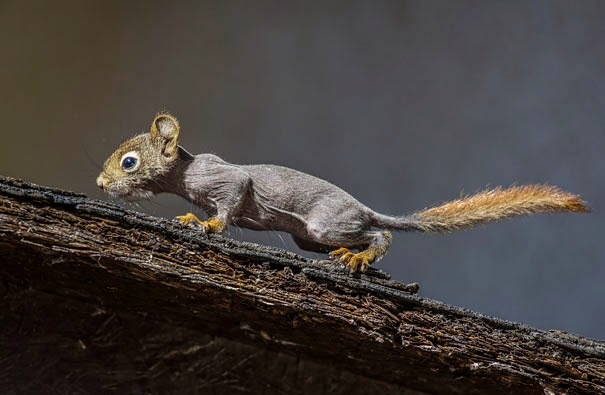 These mammals sometimes might develop a parasitic infestation (mange or fungal infection) that cause their hair to fall out. This is quite a common phenomenon in wildlife. 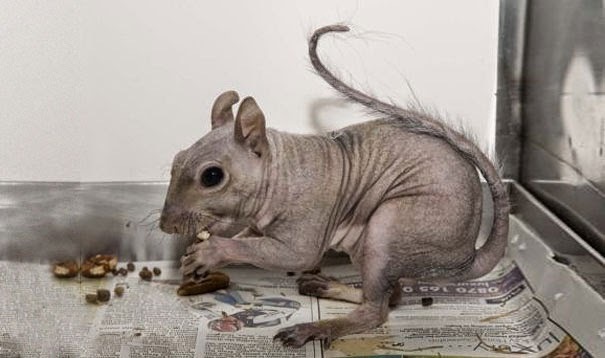 Bald squirrels are not that uncommon; their hair loss is usually related to an illness caused by mites. 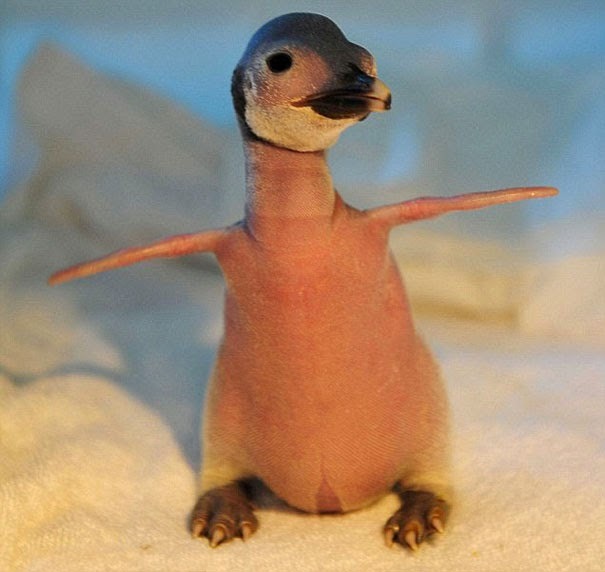 This bald baby penguin was born without feathers and was rejected by his parents at an aquarium in China’s Liaoning Province. 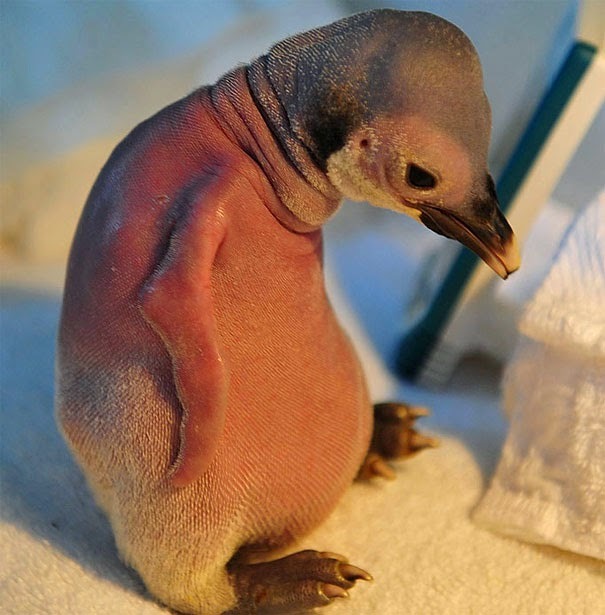 Workers at the aquarium decided that the baby penguin’s lack of feathers and weak condition was due to difficulties digesting food and absorbing nutrition. 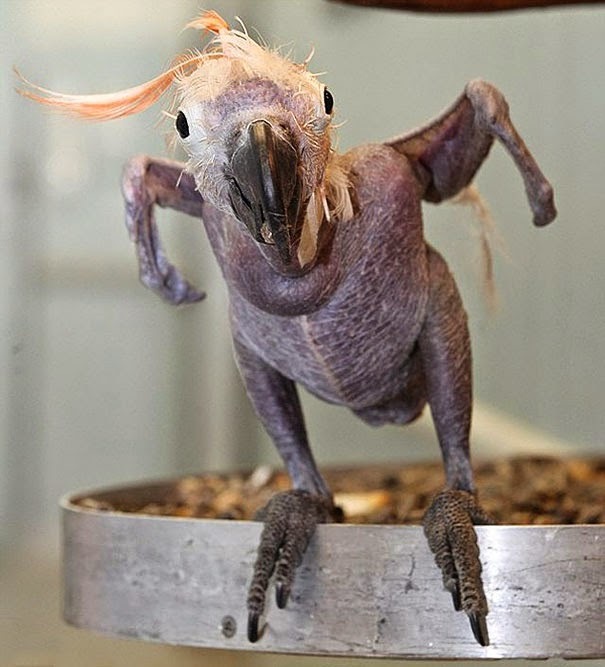 Thanks to his keepers, the bird managed to grow a feathery coat and was successfully re-introduced to its family. 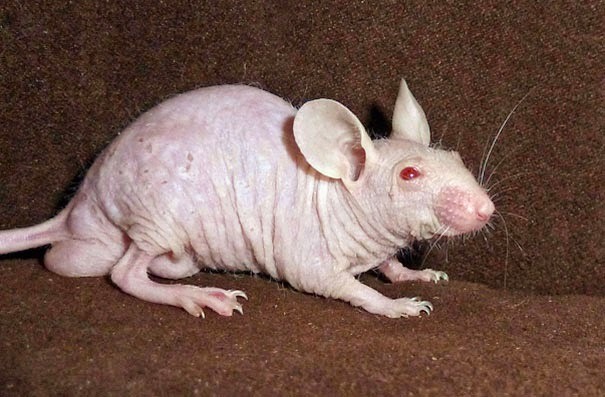 Hairless rats are produced by breeding different combinations of genes. 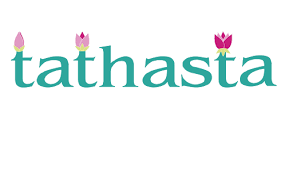 On the other hand, hairless lab rats provide researchers with valuable data on compromised immune systems and genetic kidney diseases. 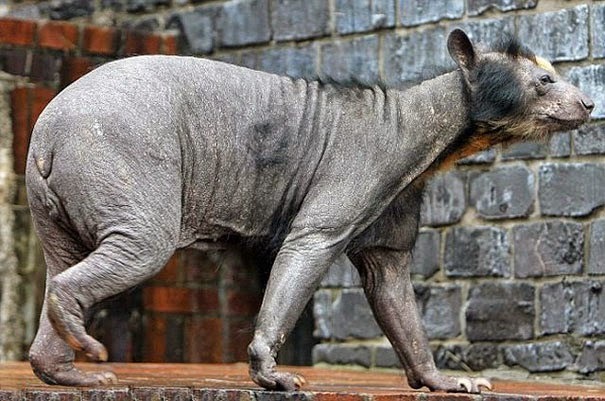 Chimpanzees, like other monkeys, apes and humans, sometimes suffer from alopecia – an illness that can make them lose hair from all over the body. 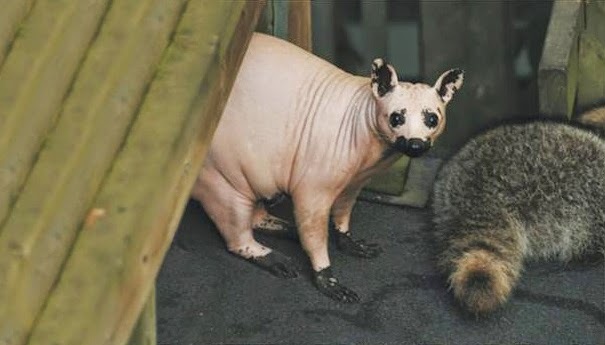 These poor creatures attract many visitors to zoos. 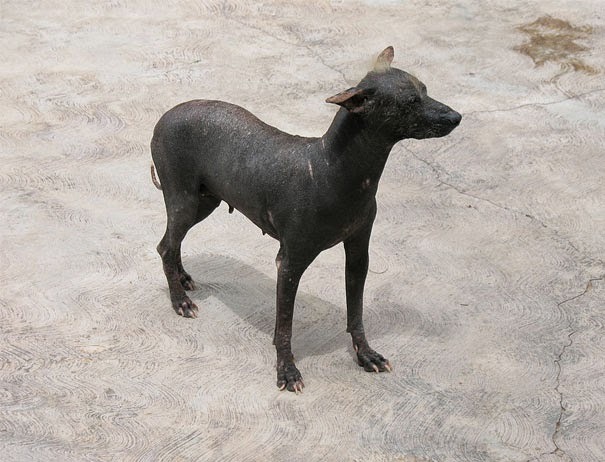 These are Peruvian hairless dogs. Machu Picchu (the 4-months-old pup in the picture above) was offered to as a pet to U.S. President Barack Obama. He promised his daughters a new pet for the White House, but the dog had to be hypoallergenic because one of them is allergic to most dog breeds. 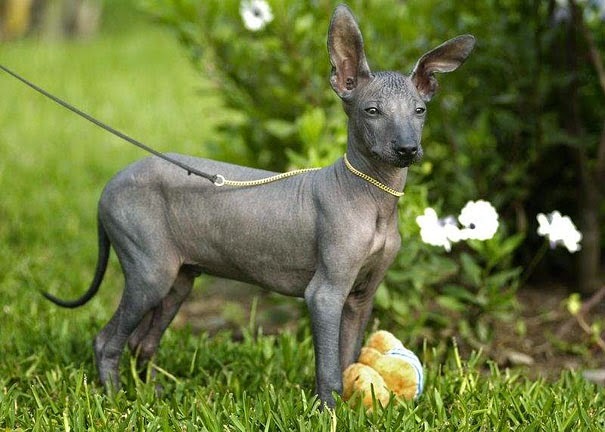 Peruvian hairless dogs are said to be perfect for sensitive people due to their lack of hair. 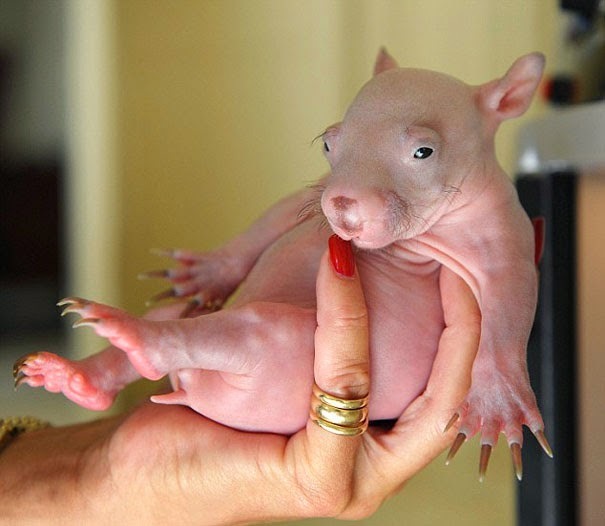 Meet Karmann – an orphaned baby wombat from Australia. 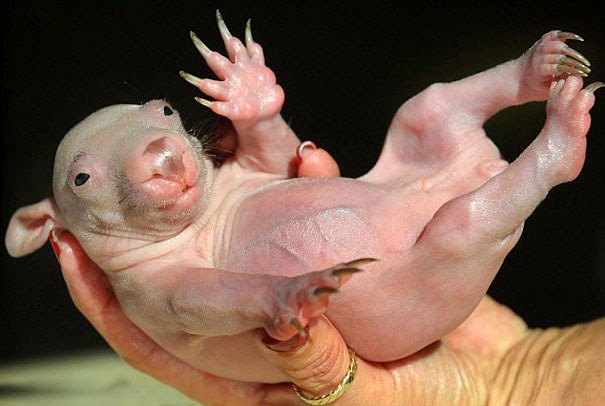 Wombats are supposed to stay in their mother’s pouch until they are seven months old. 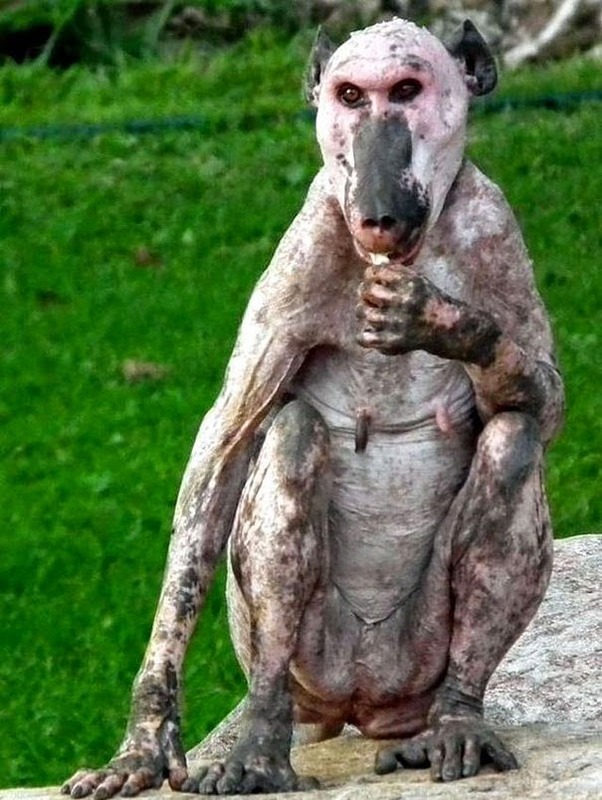 However, poor Karmann was rescued from the pouch of her dying mother at 3 months old, so she is hairless. 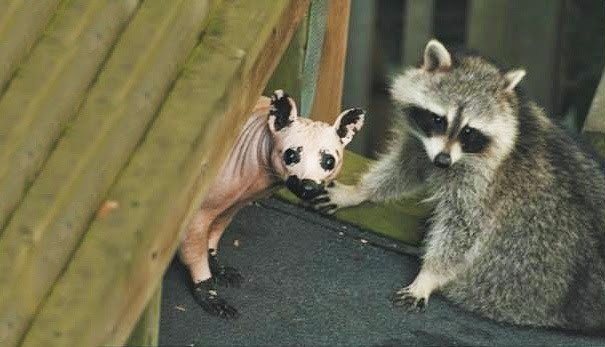 She is being cared for at a wildlife shelter in Melbourne. 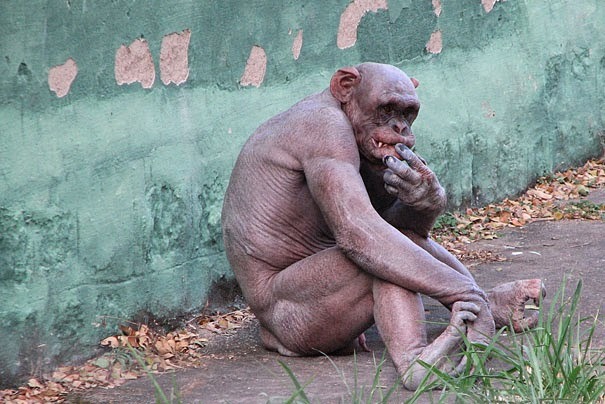 The bald baboon female was spotted in Zimbabwe’s countryside. 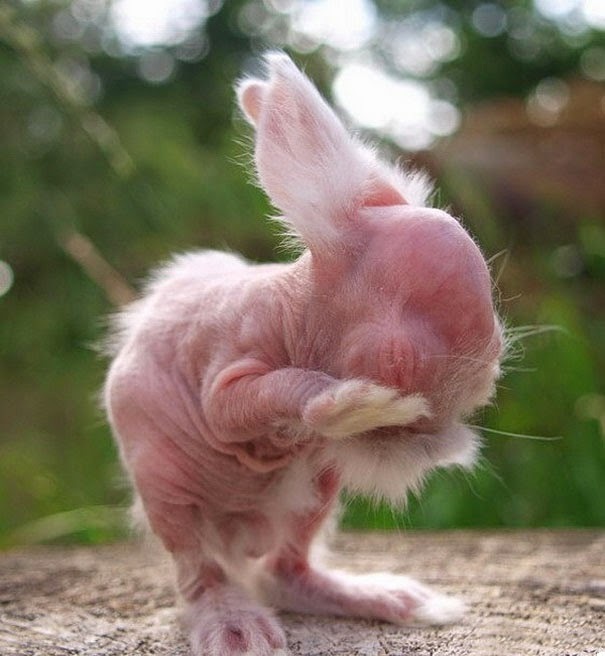 The animal might have lost its hair due to alopecia. 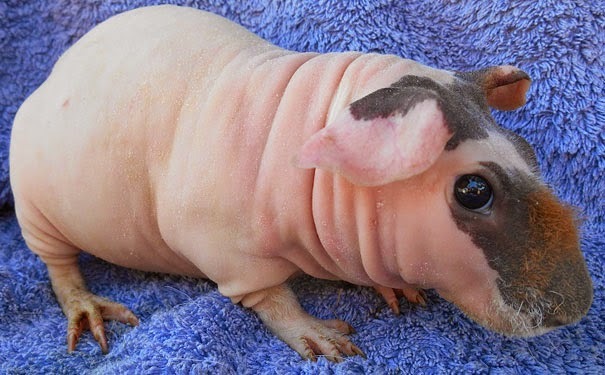 However, this hairless baboon was spotted in the wild, so the cause of its baldness is unknown. 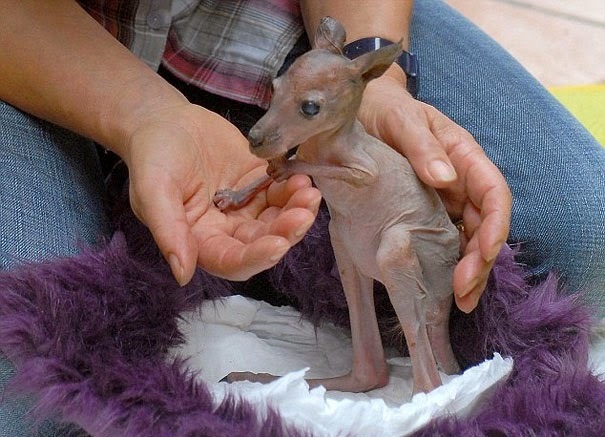 This tiny creature is Sabrina, a female kangaroo who was abandoned by her mother at the Serengeti-Park in Germany. 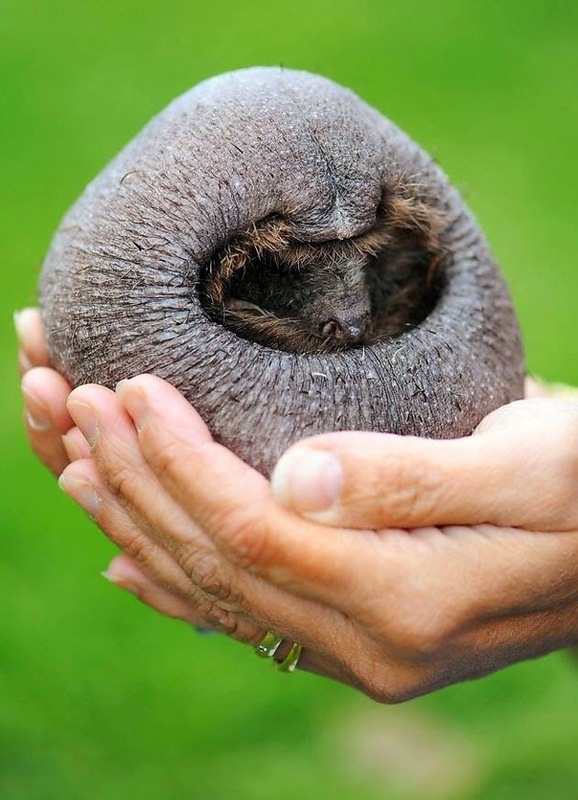 These animals do not develop hair until they emerge from the mother’s pouch. 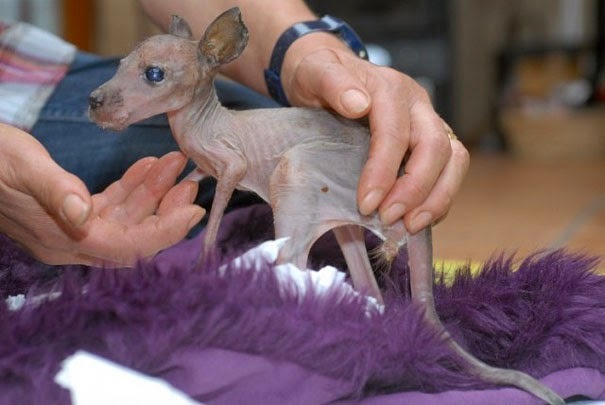 The hairless Sabrina always had to be carried close to a warm body or wrapped up in a blanket to keep her warm. 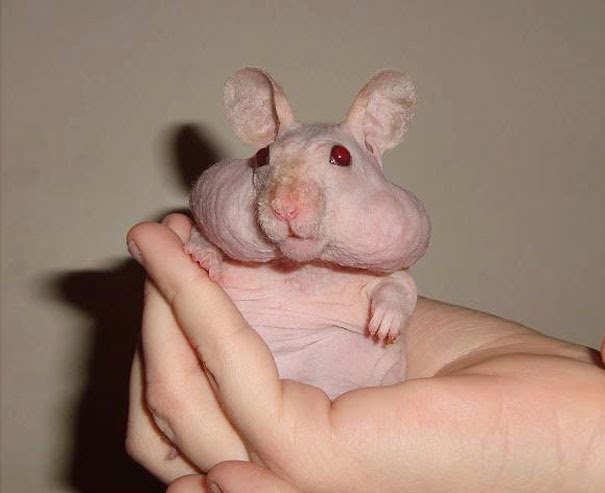 Hairless Syrian hamsters lack fur due to a genetic disorder. 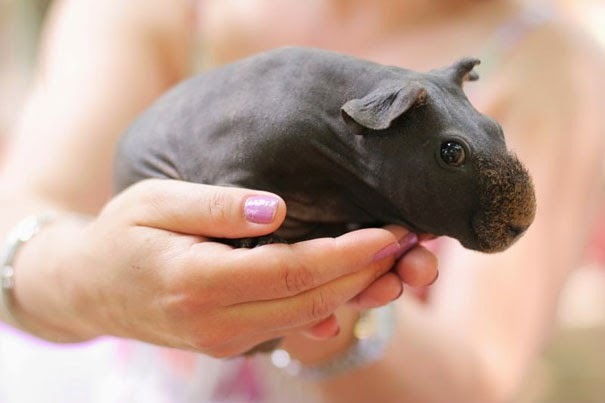 Hairless hamster pups are only born to parents with the hairless gene, so they aren’t supposed to breed.